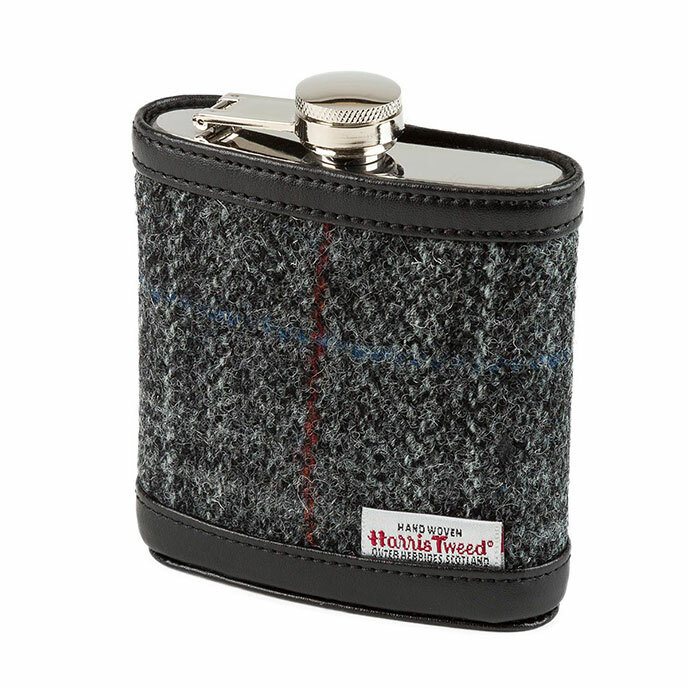 A stainless steel hip flask with genuine Harris Tweed and faux leather trimming. Packaged in a gift box, it makes the perfect present. Wash inside before use with warm soapy water. Not machine washable.